Different fruit juices have different processing methods and flows, but most are similar. 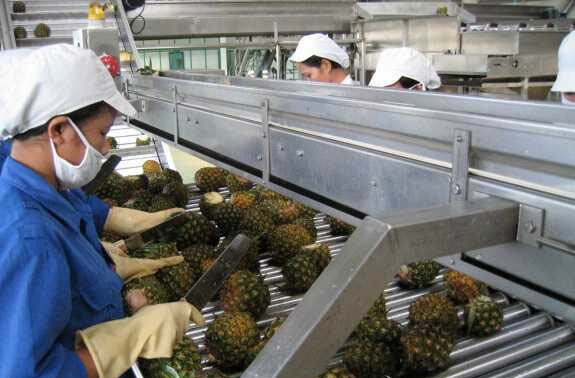 This is an example of pineapple juice concentrate, and the processing method and main points of operation are discussed. The friends who wants to process fruit juice can refer to it. 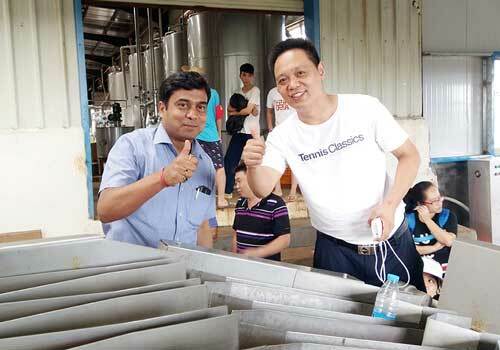 Selection of raw materials- washing- peeling- juicing- filtration- degassing- sterilizing- cooling- concentrating- bottling. The selection of raw materials. Selecting second bear fruit and small fruit, or leftovers of the producing canned fruits and preserved fruit, you’d better make full use of the fruit that can not be used for other processing. Removing the rotted fruit, the disease and insect fruit. The fruit maturity is more than 80%. Washing and peeling. Washing the dirt on the surface of the skin, cutting the end, and removing the peel. Juicing. Peeled pineapple is fed into a spiral juicer, the first fruit juice residue can be used for juicing once more, to increase the yield of juice. Filtration. A scraper filter with an aperture of 0.5 millimeters is used for coarse filtration to remove coarse fiber and other impurities. A horizontal centrifugal filter is used for refined filtration to remove all suspended matter and precipitated colloidal particles. Degassing. Degassing at a vacuum of 64-87 kPa, and the degassed juice is aspirated at the outlet with a screw pump. Sterilization. Juice adopts instant sterilization method, the temperature is 91-95 °C, keeping 15-30 s.
Cooling. The sterilized fruit juice is cooled in a heat exchanger, and the sterilized fruit juice is heat-exchanged with the original fruit juice, the sterilized fruit juice is cooled to about 50%, and the original fruit juice is preheated. Concentrating. Sodium benzoate is added to the juice, sent to a vacuum concentrator. When the concentration of the total sugar is 57.5% to 60%, the pot can be made out. Bottling. Before bottling, the bottles and other containers are cleaned and sterilized. When the juice is cooled to the temperature that the bottle can withstand, bottling and sealing in a sterile room, removing the bottle of water outside, labeling, storage. There are many reasons for coughing. Cough caused by respiratory infections such as bronchitis and pneumonia, cough caused by a viral infection such as a cold, flu and even cough caused by taking a drug that treats high blood pressure. Either way, coughing can destroy our comfortable life. According to the Natural News website, pineapple juice has the effect of cough. According to a survey in India, this is because pineapples contain a component called bromelain. It is more effective to use salt or honey in fruit juice to stop coughing. Try it. Why does pineapple juice relieve a cough? In 2010, Indian researchers proficient in Ayurveda conducted an experiment. 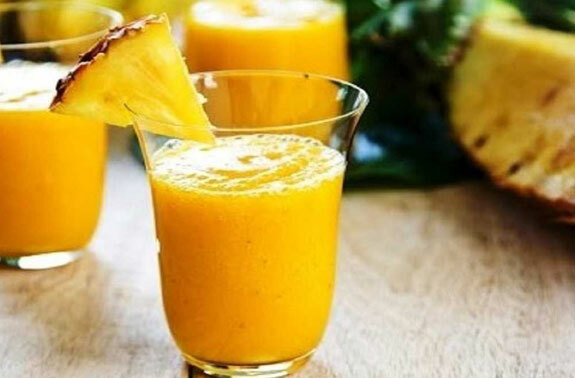 They mixed pineapple juice with salt, pepper and honey into a special juice, the result shown that pineapple juice can ease the cough or throat inflammation. Scientists have concluded that the reason is bromelain’s role. This strong anti-oxidant works in conjunction with an anti-inflammatory enzyme to relieve throat irritation. Another reason is that pineapple contains not only vitamin C, but also rich minerals such as vitamin A, magnesium, manganese and potassium. These substances help to strengthen the immune system and regress inflammation.